Renzo was lucky enough to land an internship with a family friend who is a pharmacist here in Santiago. 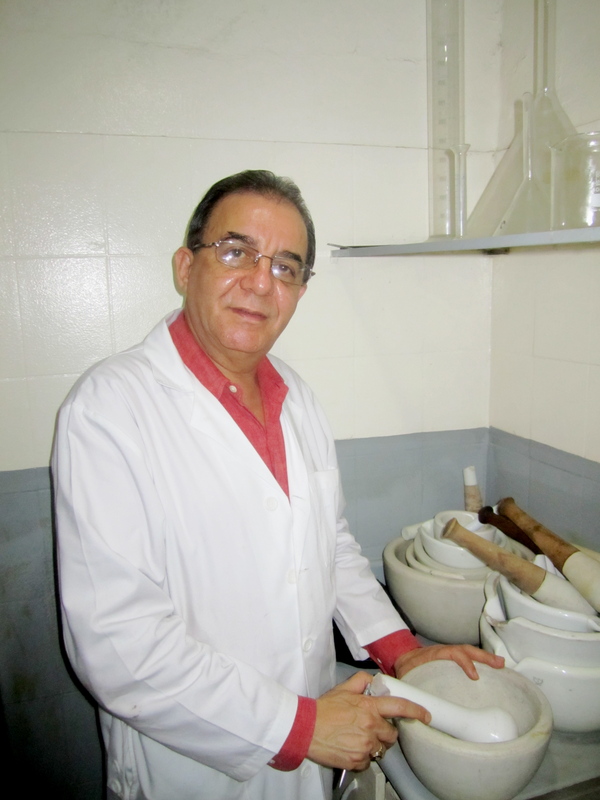 His name is Jose Ramon and he works with both conventional and natural medicines. He is the owner of a pharmacy (Farmacia Jorge) and a laboratory where they manufacture products (Laborotorio Espinal Roman or LER for short). It’s not often you find pharmacies in the States where the bulk of the stock is manufactured in-house, so it is definitely a really unique and special opportunity for Renzo to have the opportunity to train with him. Jose Ramon’s story is quite remarkable. 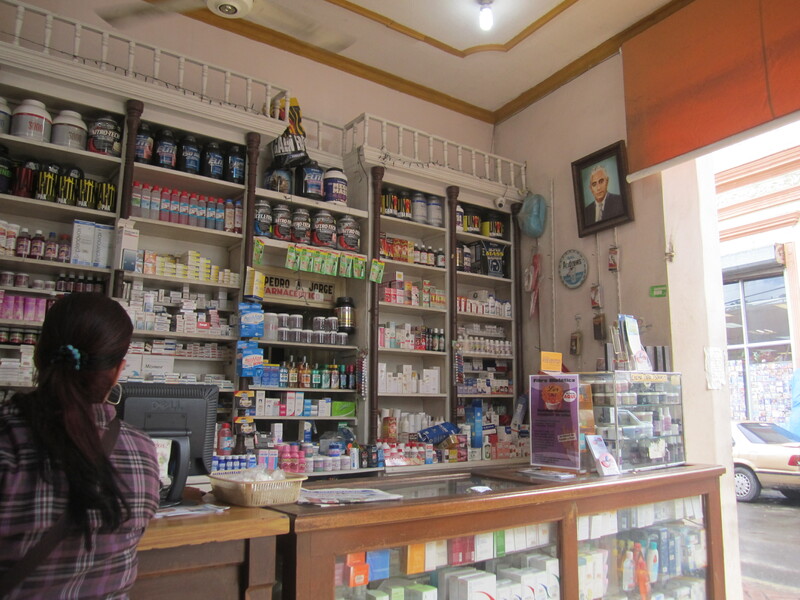 He began working at Farmacia Jorge when he was just a young boy. He started off as a delivery boy, eventually went on to attain degrees in pharmacology and alternative medicine, and now he owns the place! He got to know Renzo’s family delivering medications to his grandmother’s house many years ago. His grandmother would always offer him bread and hot chocolate, and other things to eat. He never forgot her kindness and remained a good friend of the family. Farmacia Jorge is a really fun place to walk around and explore. They make a wide selection of products there- everything from essential oils and aspirin to vitamins and beauty creams. I am so happy to see you guys learning from the best teacher ever. Not only he makes medicine, but he also helps people with medical problems. I love you guys with all of my heart!! Get your dose of Dominican Roots! First Art Class in Session Tomorrow!